Wherever there is sensibility, comfortability naturally follows. Sensible people will never be seen in an outfit or a pair of shoes that they are not at ease with. If ever you get invited in their home, you may find that their furniture are chosen not based on their price tag, but on their quality and how useful they can be for the family that lives in the house. When it comes to perfumes, the practical will meticulously sample which fragrance can last for hours, as well as which scent they will not get tired of smelling. However, the more practical individuals will check too if some promotional ideas are included to the product. Because of this, they may like the neck pillow that Prada perfume has a gift with purchase. Augmented Name Visibility. First off, the visibility of the brand name increases as the promo gift gets distributed to various consumers. The placement of the brand logo on one side of the neck pillow plays well at their advantage. Superior Brand Value. This branded neck pillow exhibits comfortability beyond compare. 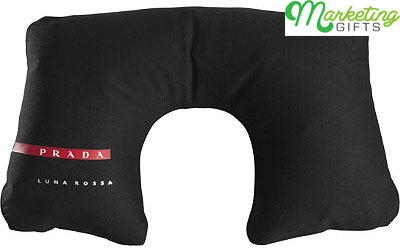 Travelers who possess this free merchandise can now fall asleep in the plane, train or bus without their head lolling to the side or ending up with a neck pain. The brand’s thoughtful GWP makes it more valuable. Raised Consumer Loyalty. Prada obviously likes to provide freebies that their consumers can use contentedly. Thus, the latter’s faith to Prada is raised due to the gift with purchase. Collect more information on how to advertise a brand from the Marketing Gifts blog.